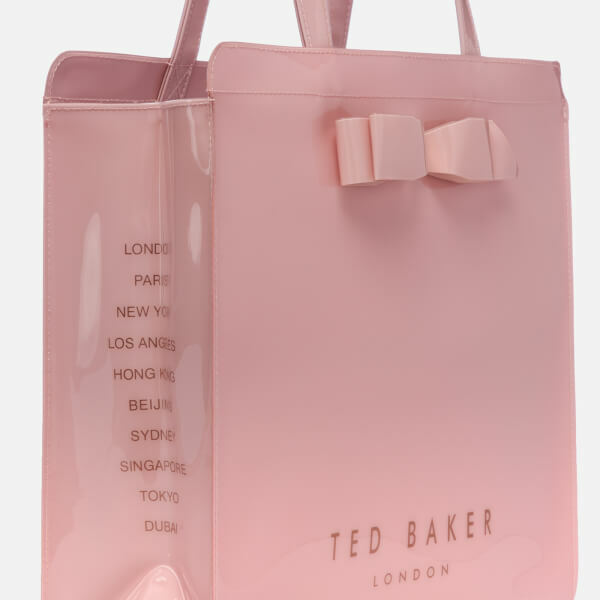 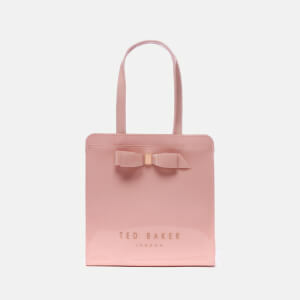 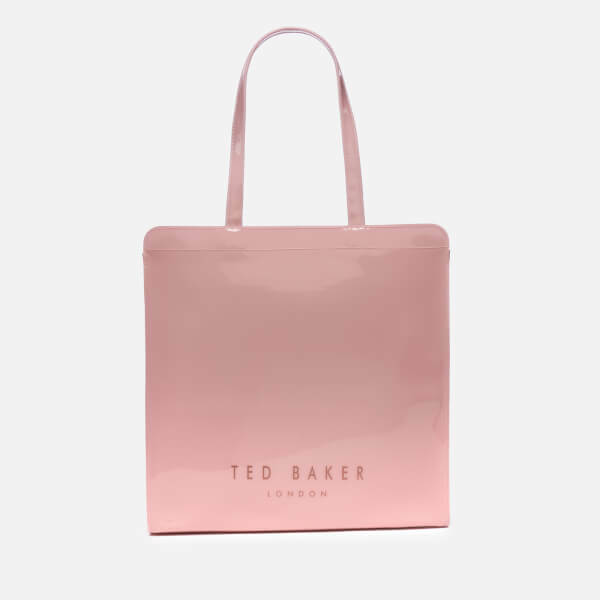 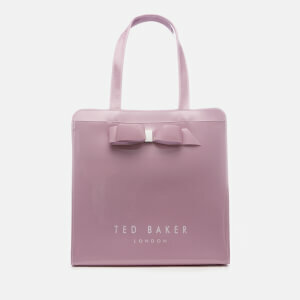 Large icon bag from Ted Baker with a high gloss finish. 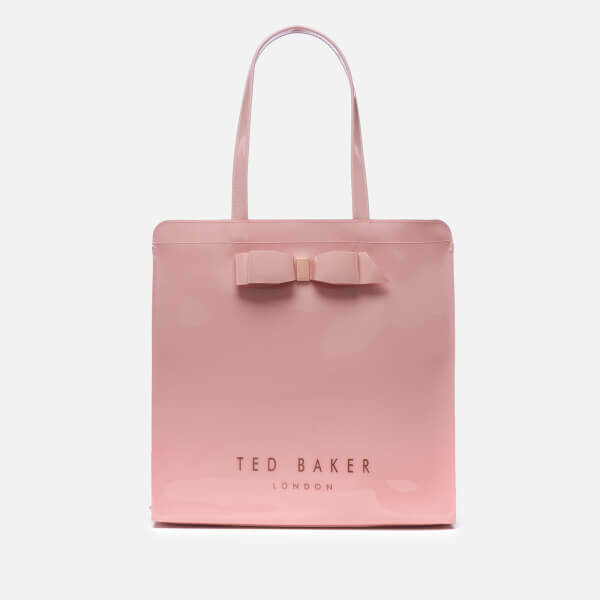 Showcasing a structured silhouette, the 'Almacon' features an open top design with twin carry handles and iconic bow embellishment. 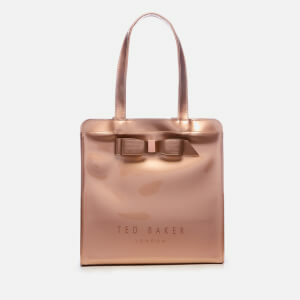 Rose gold-toned text to the side and Ted Baker branding lend a signature finish. 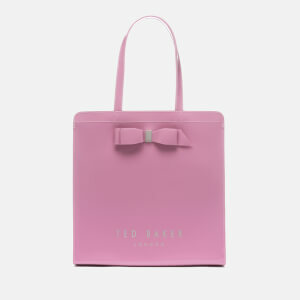 Unlined interior.